4 digit LCD, 5 levels of backlighting. Connect as Master or Slave. NMEA 0183 serial data output. 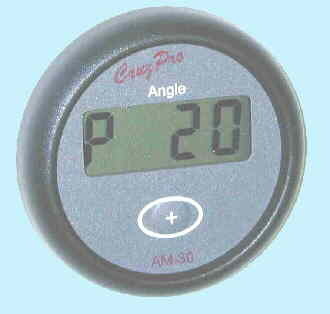 The AM-60 provides an accurate single sensor rudder angle indicator. 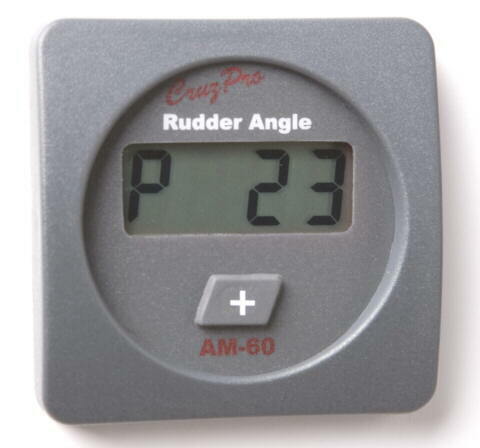 Rudder angle is displayed in full units between -90 and +90 degrees. Separate alarm limits can be set for port and starboard. 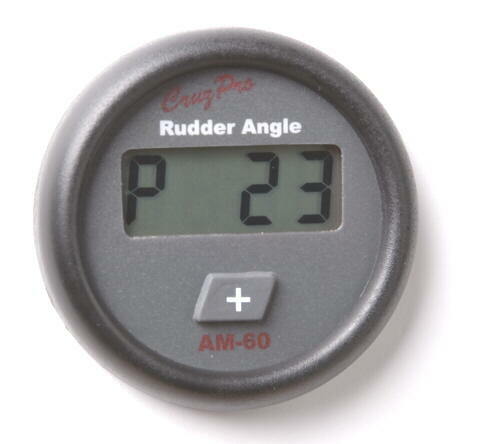 The AM-60 provides for sender calibration and zero (rudder center) set. The rudder angle is output on a NMEA 0183 compatible serial data line. This ASCII information can be used to log performance or repeat the information at a remote location (see www.cruzpro.com/rp30.html and www.cruzpro.com/rp110.html). If NMEA 0183 serial data is not required, then the output terminal can be programmed as an external alarm output pin. 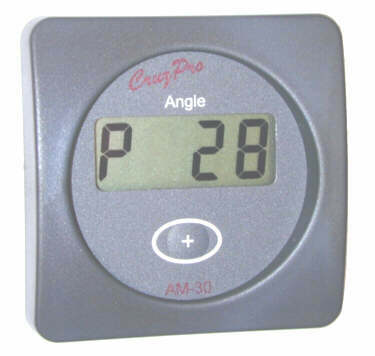 Independent Port and Starboard rudder angle limit alarms can be set. When activated, the built-in 85 dB alarm will sound and the display will flash. Five levels of backlighting can be selected for night-time viewing and all set-up, calibration constants and alarm values are saved to non-volatile memory. The AM-60 can be operated from a 9.5 to 33.0 VDC power supply. The AM60 works with all standard rudder angle sensors and can be connected as either a master or slave.